Getting Your Personal Training Clients Results ...MADE EASY! 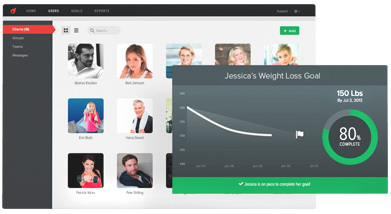 Fit Clients™ is the new way to automatically hold your clients accountable to their fitness & weight loss goals. What Can Fit Clients Do For You? Fit Clients will help you market your personal training or boot camp program by making it easy to collect and display your client’s before and after photos online and offline. Fit Clients will run and manage transformation contests and team challenges for you and instantly keep track of both individual and team results. Fit Clients will save you valuable time by sending a weekly report letting you know which clients aren't on pace to meet their goals so you can follow up with them. Fit Clients takes care of tracking your client’s progress and goals - saving you time and effort. It helps your clients get results faster, which increases referrals and retention, giving you an unfair advantage over your competition. Fit Clients™ will keep an eye on your personal training clients for you, ensuring that they are on track to meet their fitness and weight loss goals. Fit Clients™ will send you and your clients an email the minute one of your clients forget to weigh in or if they weigh in but don't reach their weekly milestone ensuring that your clients never have more than a bad week! The simple but powerful dashboard will let you know the minute you log in what clients you need to follow up so you can get your clients back on track as soon as possible. Your clients can easily upload before and after pictures, which makes collecting and displaying testimonials effortless! You can create a custom URL and upload your logo to make it look like your own software program! You can create an unlimited amount of teams and create team weight and body fat goals, which will make your community that, much stronger. Clients can easily create groups and group goals with their friends. 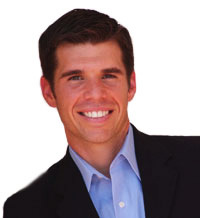 Getting everyone involved increases accountability, results and referrals! Easily run monthly reports to see what percentage of your clients are reaching their goals and how much weight and body fat your program lost as a whole! Your personal training clients can use the new Fit Clients iPhone app to track their fitness goals on the go. They can monitor their progress, create goals, upload photos, and more. It will even send them a notification when it's time for them to weigh in. Who Else Uses the New Fit Clients Software? Fit Clients™ is a massive time saver for any personal trainer. This done-for-you system is an amazing tool to not only get more clients, but to keep them as loyal clients for years. This is something the fitness industry needed badly. It's easy to use and will no doubt double if not triple your memberships. WOW! That is how my staff and I feel about this software. What took my assistant an hour out of her day to do can now be done with a click of a button. This makes productivity for my staff jump through the roof. Not to mention retention will skyrocket. This Fit Clients™ software is a staple in boot camp retention. It keeps clients motivated on track and makes you look like you never miss a beat keeping clients accountable. I think the best part is that it is literally all DONE- FOR- YOU. No more tracking people down to see how their results are coming along. It's all right in front of you the whole time. Talk about a time saver! Highly recommended if you want to stand out from other boot camps and local facilities! Fit Clients™ makes it so much easier for me to give results for my clients. It is a systematic way to keep your clients accountable and on track for their goals. Number one thing for clients retention is giving them the results they wanted. And this is definitely a great system to help you deliver results. 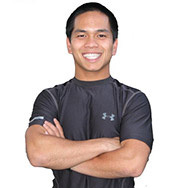 Thanks for an amazing program to help streamline my personal training business. It's always been an issue trying to quantify client data and your program simplifies it for both my clients and for me. Keeping my clients accountable ensures better results and ultimately longer retention rates, 'happy campers' and referrals. It's win-win for both me, the trainer/business owner and my clients who get automated emails and added motivation to stay on track. I love the ability to allow clients to set their goals along with rewards and punishments for themselves. Your program has saved me a ton of time. Thanks again. Hey, I just wanted to say what an awesome tool Fit Clients™ is :) it keeps my boot campers totally motivated and in the loop! Now after using i am not sure i could do without it!! 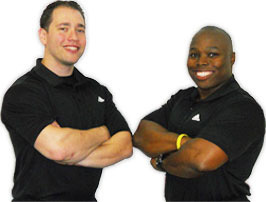 Fit Clients™ has helped us streamline our business when it comes to tracking clients results. We used confusing spreadsheets that required us to do all the work and followup with clients to weigh in. But with Fit Clients™ it's like a personal assistant that keeps track, follows up when a client doesn't weigh in, sends encouraging messages, and allows clients to set rewards and punishments for hitting or not hitting a goal. We got rid of our messy spreadsheets and now rely on Fit Clients™ to do the work for us so we can spend that extra time helping clients in other areas. 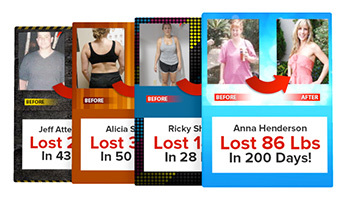 I just ran a 42 Day Body transformation Program and used the Fit Clients™ software to track my clients progress. Here is my assessment of this product. Pros: Easy to set up, Customizable link for your clients to remember, Easy to use and track my clients progress, Good customer service. When ever I had an issue I would call or email support and I was able to resolve the issue in a timely manner, I love that you can create teams and see how they are progressing, Finally it is automated and your clients do all the work. Cons: - No App. While Fit Clients™ is not an app it would be great if it had an app my clients could just download. That being said I did a little work around that works well. I set up a computer station they can log into and input their information in real time. * Update: iOS App Coming Fall of 2013.
Who would I recommend this product for? For Trainers that have at least 10 clients. It makes tracking so easy. Also this is a no brainer for any fitness professional that runs a boot camp. The truth is most trainers do a poor job of tracking their clients progress. Here is your answer. Thanks Jeff and Fit Clients™ Team. The Fit Clients™ Software is a great program to help teach your clients how to be more accountable on their own. It is designed to allow them to set their on goals, rewards & punishment (very cool feature). With the automated emails, Fit Client™ helps the clients stay on track toward reaching their goal all while eliminating work for you, the Trainer. If you are a Trainer looking for an automated software program that boosts results in your clientele AND gives you more freedom to do the things you want ~ Fit Clients™ is the program for YOU! I am SO EXCITED about Fit Clients™. Before I started using it, keeping clients accountable for their weigh-ins was always a HUGE problem for me. Also, we were taking progress photos for our clients but had no way for them to easily access them. Fit Clients™ solves both of those problems and more. Not only does it help me know who is and isn't weighing it, it allows clients to set goals and rewards and let's them enter their own weight so I can spend my time helping them troubleshoot and actually achieve those goals instead of just trying to figure out who needs to do their weigh in. Also, I love the feature that allows us to upload their before and after photos side by side so that my clients can access them any time. This software does so much to help me automate my measurement process and is a great tool for client retention and satisfaction. Thanks so much for creating this fantastic product!! 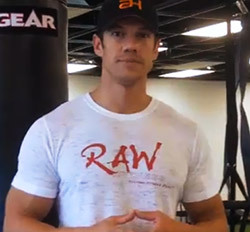 Hey what's going on guys, this is Justin Blum with Raw Fitness out in Las Vagas. 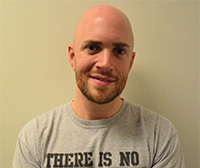 I wanted to give a shout out to not only one of my really good friends, but one of the smartest business owners that I've ever met, Jeff Sherman, and his new product, Fit Clients™. Now, I have a pretty big fitness business out in Las Vegas, ranging number is about 250 boot camp clients and about 35-40 personal training clients. Jeff's product is amazing, that's all I can say about it. As some of you may know Jeff and I created a product called Boot Camp Underground, and it had a really good client retention and goal setting system in that. Jeff has taken this thing to another level, and he's made it all online. There's no more sitting down with paperwork with paperwork, clients can weigh in online, all by themselves, entertheir body fat, and set their goals. Now the coolest thing about this thing is that it's all automated. You put them in the system once, and it sends reminders. So, if they are supposed to weigh in once a week, and a client doesn't weigh in, they get an email that say 'you need to weigh in'. This is the number one client accountability program that I've ever seen, and it definitely helps all my clients coming back. So, Jeff, I want to say thank you very much, you did a great job on this product. If you guys want good results, good client retention, and not pay an assistant hourly rates to do this, you have to pick up this product - it's a complete no brainer. 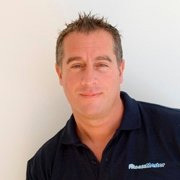 Why is the Fit Clients Software so important for me to market and run my fitness business? Quite simply, it’s the results. As a personal trainer, getting your clients results and then showing off those results is the lifeblood of your business. Nothing makes it easier to market and grow your business then having huge transformations from the majority of your clients. Fit Clients makes that easy for you and does it all on autopilot. What makes Fit Clients different from all of the other goal setting and tracking software on the market? Fit Clients is the only software that automatically follows up with your clients if they are not meeting or reaching their goals. It is also the only software that tells you which clients are doing well and which ones are not, making it easy for you to follow up with your clients. With all of the other software, you still have to go through each clients profile manually which can take hours if not days to complete. Fit Clients is really easy to use. Most people can just log in and start using it. But if that’s not you, there are easy to follow video tutorials that will teach you how to use and get the most out of the Fit Clients software. Is my clients information secure?